The Authority, the Warm Sustain, the American Marimba Sound. 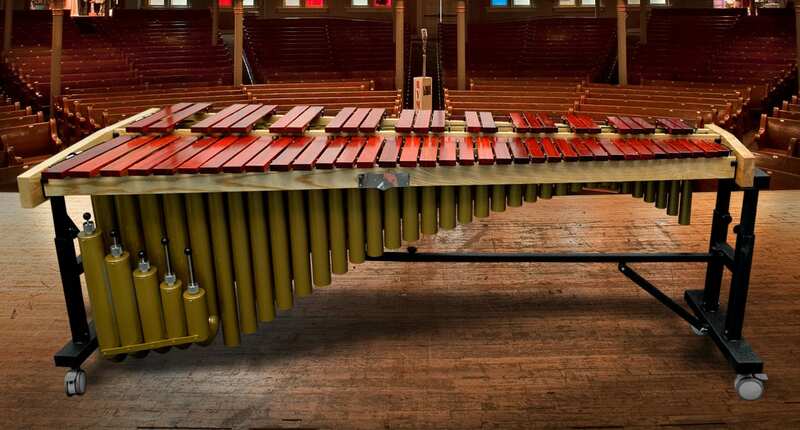 The Trixon Concert Marimba brings back the hearty substantive tone which has made the American Marimbas the envy throughout the World. Quality Rosewood Bars with Aged Wood, Butcher Block Frame and Full Size Aluminum Pipe Resonators culminate for Warm Strong Resonance and Sustain. Triple Reinforced Metal Stand is fully adjustable from 34.5 to 44.5″ (with height markers). 4″ Rubber Casters with Brake — Make for Easy & Smooth Transport. Trixon Concert Series Marimba Reclaiming the American Marimba Heritage.